Programming note: Join CNN anchors and correspondents for “Champions for Change,” as they get involved in important causes, ask questions and share what they’ve discovered, Saturday, June 23 at 8 p.m. ET on CNN. While immigration remains a topic of debate, it cannot be denied that the country we enjoy today, featuring world-class innovation, creativity and opportunity, would not be possible without the contribution of foreign-born persons who’ve chosen to live permanently in the United States. Here are just a few foreign-born American citizens who’ve overcome the hardships that accompany relocating to a new country. Madeleine Korbel Albright was born Marie Jana Korbel on May 15, 1937, in Prague, Czechoslovakia, (now the Czech Republic). As a child, her family escaped Czechoslovakia 10 days after the Nazi invasion and fled to the United States. When Albright became a US citizen in 1957, she changed her legal name to Madeleine. After completing her degree at Wellesley College, and while working towards her Ph.D. at Columbia University, she began working for Maine Sen. Edmund Muskie as his chief legislative assistant. Albright continued to build her career in Washington, DC, working in foreign affairs and politics. In 1993, she was confirmed as the US ambassador to the United Nations. Three years later ,Albright made history when she was appointed secretary of state by President Bill Clinton — the first woman to hold the position. Under her leadership, the US State Department worked to spread democracy across the Middle East, expand NATO eastward to include some of the former Soviet nations and further the normalization of US relations with Vietnam. Albright left the State Department at the end of the Clinton administration in January 2001 and has remained active in foreign affairs. In May 2012, she was awarded the Presidential Medal of Freedom by President Barack Obama. 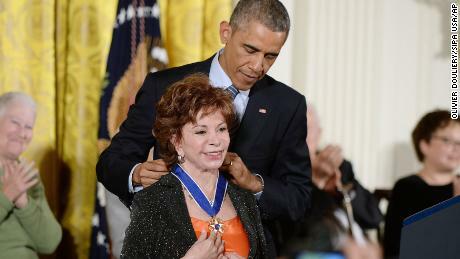 Internationally renowned author Isabel Allende was born on August 2, 1942 in Lima, Peru, and spent most of her childhood living in Chile. She received her primary education in American and English private schools and began her career as a translator and journalist in her 20s. Allende gained notoriety in Chile when she co-founded the first feminist magazine in the country, Paula. In 1981, she began writing a letter to her dying grandfather. Four years later the letter had evolved into her first novel, “The House of the Spirits,” launching her career as a novelist. Her works cover a wide range of themes including social justice, feminism, politics and more. The author of more than 20 titles, Allende’s books have impacted the globe, translated into dozens of languages and selling more than 60 million copies. In 2014, she was selected to receive the Presidential Medal of Freedom — the highest civilian honor in the United States. The co-founder of Google, the most visited website in the world, was born on August 21, 1973 in Moscow, Russia. When he was 6 years old, his family emigrated to the United States. At age 19, Brin completed his undergraduate degree at the University of Maryland, where his father was a professor. After graduation, he enrolled in a doctoral computer science program at Stanford University. While conducting research during the program Brin met his future business partner, Larry Page. This project was the beginnings of the search engine and the two would go on to suspend their doctoral studies in order to launch their company in 1998. Along with his partner, Brin’s success grew along with the company’s. Brin became a billionaire in 2004 following the initial public offering of Google. Following their financial success, Forbes named Brin and Page the 5th most powerful people in the world. 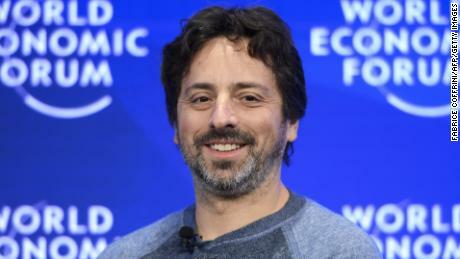 Now Brin serves as the president of Alphabet, the parent company of Google and several other Google subsidiaries working on projects such as self-driving cars. 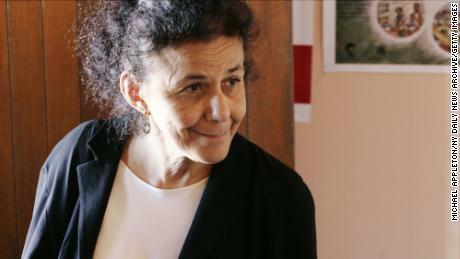 Egyptian-American global health physician Dr. Wafaa El-Sadr was raised in Cairo by parents with a mission to help the poor. Born into an affluent family, El-Sadr volunteered with her parents, who were both doctors, to help impoverished people in the Mediterranean region and developed a passion for helping others. She completed her medical degree at Cairo University in Egypt and went on to receive master’s degrees from Columbia University and Harvard University, studying public health and government. In her work as an infectious disease specialist, El-Sadr’s standards and methods for the treatment of HIV/AIDS and tuberculosis have helped people in places stretching from inner-city Harlem to sub-Saharan Africa. Currently a professor of epidemiology at Columbia University, El-Sadr oversees 600 sites in 14 countries that work to establish programs to provide women and their families the services they need to treat and prevent HIV/AIDS. El-Sadr has served as an adviser to the US Food and Drug Administration and the US Centers for Disease Control and Prevention, and is a current adviser to the World Health Organization. Acclaimed comedian and well-known actor Leslie Townes Hope was born May 29, 1903, in Well Hall, England. At the age of 4, Hope, along with his parents and siblings, passed through Ellis Island near New York City, before settling in Cleveland, Ohio. As a young man from a modest upbringing, Hope worked as a butcher’s assistant and shoe salesman, and would perform and tell jokes in the park. His hard work and enthusiasm for performing would eventually land him on Broadway with his partner, George Byrne. Hope’s career careened from the Broadway stage and into radios around the country. The exposure would eventually lead him to the big screen, where he would appear in films with stars such as Bing Crosby. Sticking to the comedy genre, Hope was familiar to everyone and was featured on virtually every media platform. He gained broader recognition when he began to take time off from his radio and film roles to entertain America’s troops during World War II. 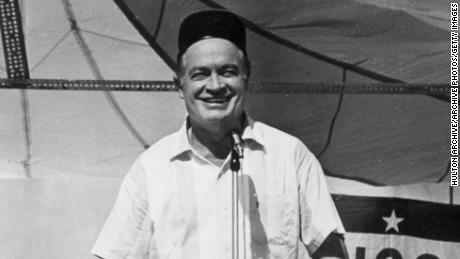 Throughout his career, the comedian would bring laughter and cheer to battlegrounds of five wars, headlining 57 events for servicemen and women. In 1997, the United States Congress recognized Hope’s work with service members by naming him an honorary veteran of the US military. Hope hosted the Oscars 16 times (but never took home an award himself), entertained 11 US Presidents, authored 12 books and, despite never completing high school, he received 56 honorary doctorate degrees. Hope died in 2003 in Los Angeles. Indian-American business tycoon Indra Nooyi serves as the chairman and CEO of PepsiCo — one of the largest food and beverage businesses in the United States. Born in Madras, Tamil Nadu, India, Nooyi earned her bachelor’s degree from Madras Christian College and her MBA at the Indian Institute of Management in Calcutta. While still in India, her rise in business began with management positions for global brands Tootal and Johnson & Johnson, before she moved to the United States in 1978 to study at Yale University’s Graduate School of Management. 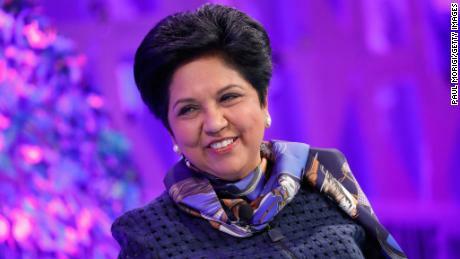 Nooyi continued her successful career with positions at Booz Allen Hamilton, Boston Consulting Group, Motorola, and others, before joining PepsiCo in 1994. Before becoming CEO, Nooyi moved up the ranks, holding posts as senior vice president, chief financial officer, a member of the board of directors, and president. Since 2008, Forbes has ranked Nooyi in its annual list of the world’s 100 most powerful women. Fortune magazine has recognized her as the most powerful woman in business five times since 2006. Nooyi has received honorary degrees from many colleges and universities, including NYU, Brown, Penn State and others. 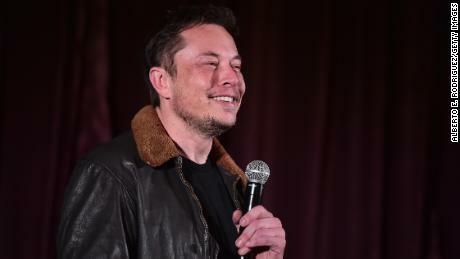 Elon Reeve Musk was born in Pretoria, South Africa. As a teenager, Musk became a Canadian citizen and began studying at Queen’s University in Ontario, Canada. Three years later he went on to complete his undergraduate degree in the United States at the University of Pennsylvania. He became a US citizen in 2002. The billionaire business magnate and tech entrepreneur first made a name for himself with the founding of X.com, which would go on to become the company PayPal. Today, Musk is working to expand his automobile company Tesla to decrease the carbon footprint of gasoline-powered vehicles. Through his company SpaceX, Musk has taken over former NASA space shuttle missions to become a global leader in commercial space travel. Born in the Democratic Republic of Congo, retired NBA star Dikembe Mutombo came to the United States in 1987 on an academic scholarship at Georgetown University to study medicine with intentions to return to help people back home. But fate changed that plan — leading him to the school’s basketball team and eventually to the NBA — allowing Mutombo to follow a mission far beyond his wildest dreams. Known as one of the greatest NBA players to never win a championship, the center forward won the league’s defensive player of the year award four times and played in eight All Star games. During his 18 years in the league, Mutombo was known for his focus on international service and aid. In 1993, he traveled with then-NBA Commissioner David Stern and famed Georgetown colleagues Patrick Ewing and Alonzo Mourning to the South African cities of Cape Town and Johannesburg. In 1997, two years before retiring from the NBA, Mutombo established the Dikembe Mutombo Foundation with a mission to improve the health, education and quality of life of people in the Democratic Republic of the Congo. The foundation’s largest project was the construction of the Biamba Marie Mutombo hospital in the capital city of Kinshasa. 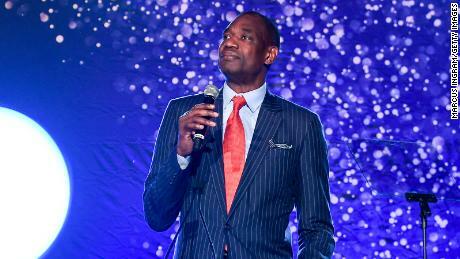 Mutombo contributed $15 million of his personal funds toward the project’s $29 million total. The building was named after his mother, who died of a stroke the same year he founded the organization. In 2000, he received the President’s Volunteer Service Award, the United States’ highest honor for volunteerism. In 2009, Mutombo was appointed the NBA’s first global ambassador. Today he continues his ambassador role and humanitarian work through his foundation, while working with other organizations to further his mission to help the poor around the world. 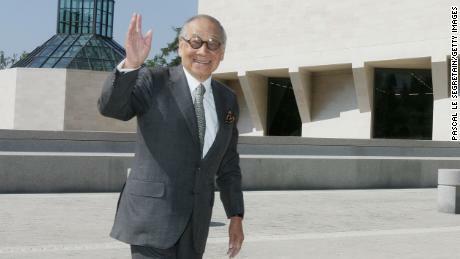 World-renowned architect Ieoh Ming Pei was born in Guangzhou, China, on April 26, 1917. When he was 17, he moved from Shanghai to the United States to study at the University of Pennsylvania. Pei completed his undergraduate studies at the Massachusetts Institute of Technology in 1940. He earned his master’s degree in architecture from Harvard University in 1944, and later moved to New York City to start his career. Pei’s first building was constructed in Atlanta, Georgia, a two-story office building that garnered praise in the industry. His status among architects rose with his design of the National Center for Atmospheric Research building in Colorado, completed in 1971. The success caught the attention of many, including Jacqueline Kennedy Onassis, who chose Pei to design John F. Kennedy’s presidential library. Following the opening of the Kennedy library, Pei became one of the world’s most sought-after architects. He designed the Rock and Roll Hall of Fame in Cleveland, Ohio, a new entrance to Louvre museum in Paris, France, and Washington, DC’s United States Holocaust Memorial Museum, to name a few. Now 101 years old, Pei has taken a less involved role in the work of his firm, but continues to remain a part of the projects around the world.